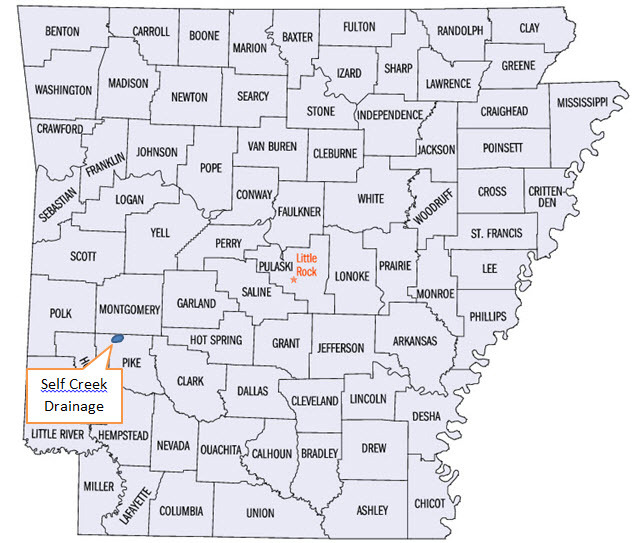 Located east of Langley on Highway 84 in Lodi, Arkansas, is a very entertaining Class II-II+ creek called Self Creek. 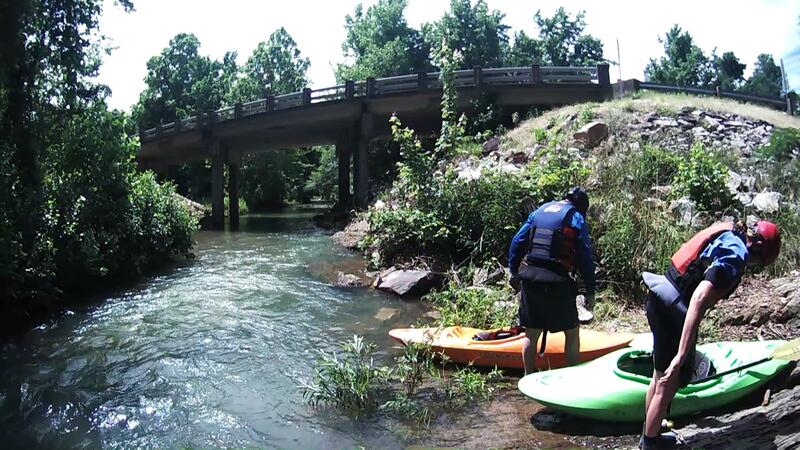 The put-in for a 4.3 mile paddle down the creek is at the Highway 84 bridge; the take-out is at the low-water bridge on Palestine Road. The best corner of the bridge to launch from is the northwest. 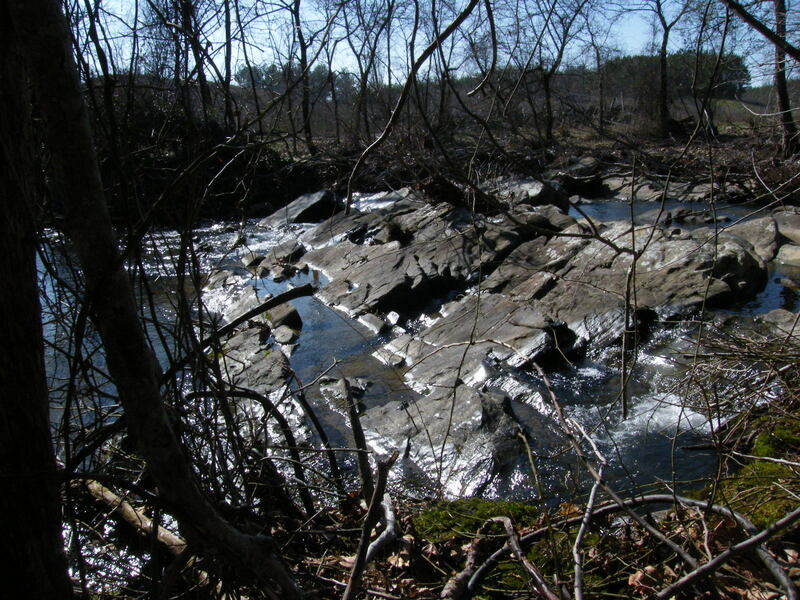 I have asked for and received permission from the landowner to park by the creek. Ask each time before you park there; I suspect the owner may have passed away recently, making a new arrangement necessary. There is barely enough room to park on the shoulder of the highway if you can’t get permission to park on the private property. 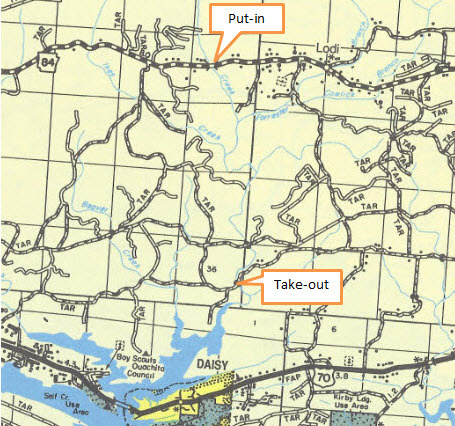 The take-out is on a dirt road, Palestine Road, at a low-water bridge. There is room to park near the bridge. The best shuttle route is to use the pavement as much as possible by driving east on 84 to Highway 70, then turn south and go to Kirby, turn right and stay on 70 west out of Kirby until you come to the electric substation on your right; turn north there on Bar Two Road and follow its winding path to its T intersection with Palestine Road. Turn west on Palestine Rd. and continue until you come to the creek. Palestine Rd. may look like it is someone’s driveway once you get near the creek, but be assured it continues past the house. DRIVE SLOWLY through the populated areas on these roads. Don’t be tempted to use any of the more direct looking roads on the map that run south from near the put-in area. 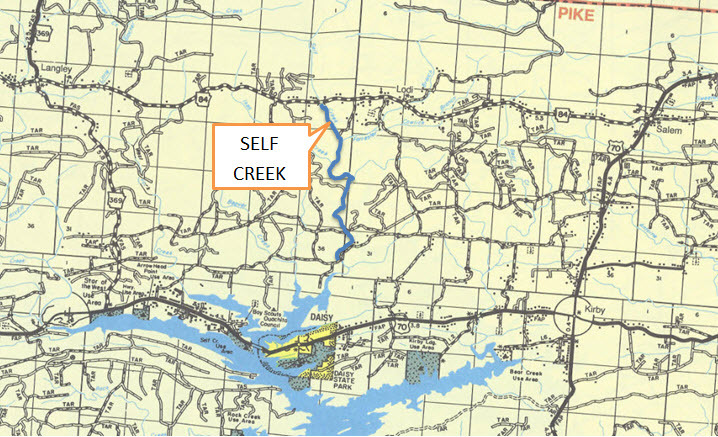 The CC Road to the east of the creek does provide a more direct link to Palestine Road, but it becomes very rough and crosses several creeks without any type of bridge; other roads to the west of Self Creek are often gated shut at both ends or one end. Two tree hazards need to be noted: the first is located about a mile below the put in and is easy to see. 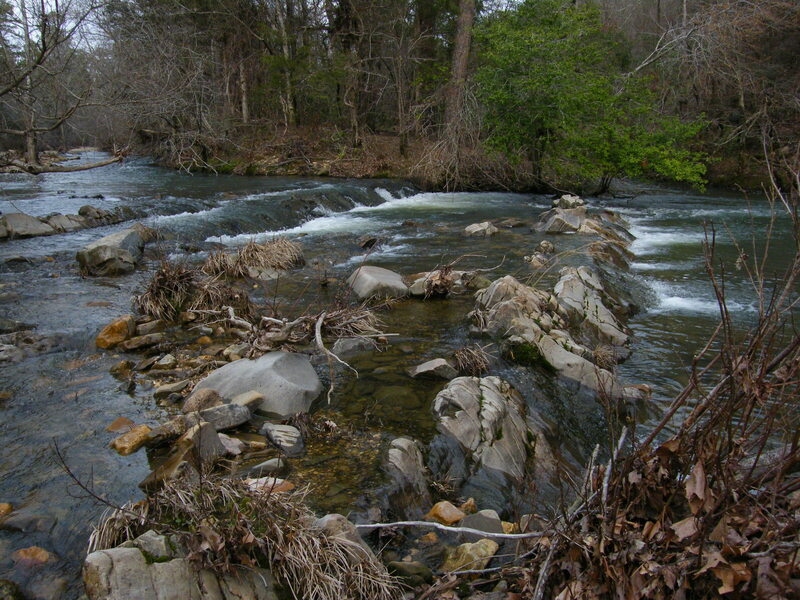 The creek has narrowed at this site with a tall hill on the left and a tall bank on the right. 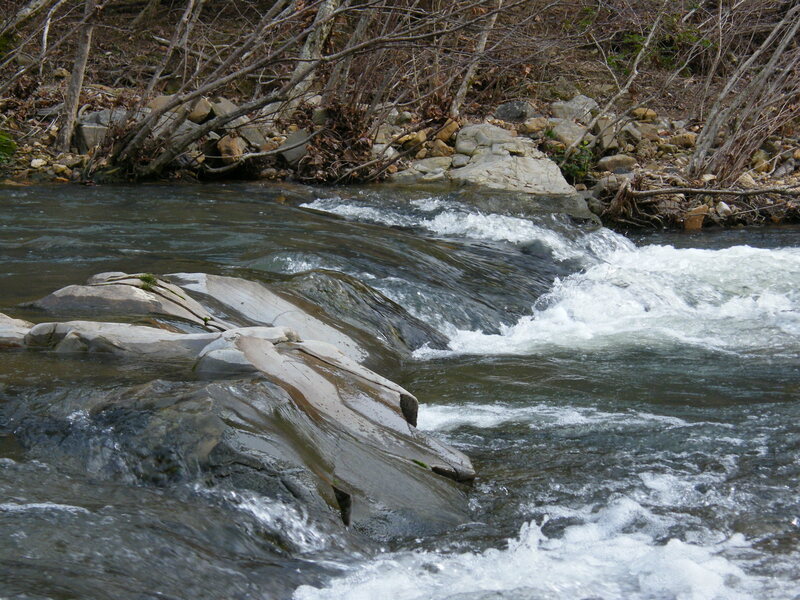 An 18″ diameter fallen tree spans the creek about four feet off the water on the low flow day we paddled. 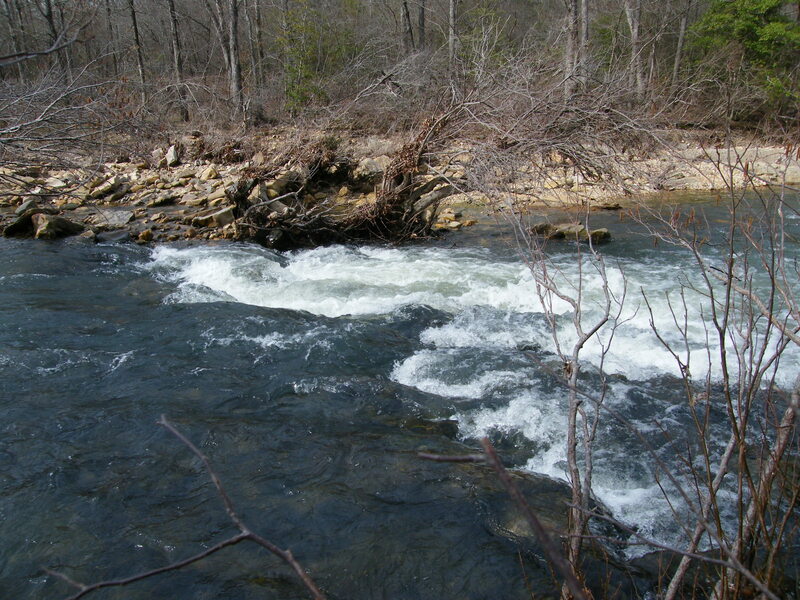 The main flow is along river left where branches extend down from the trunk and have caught drift. 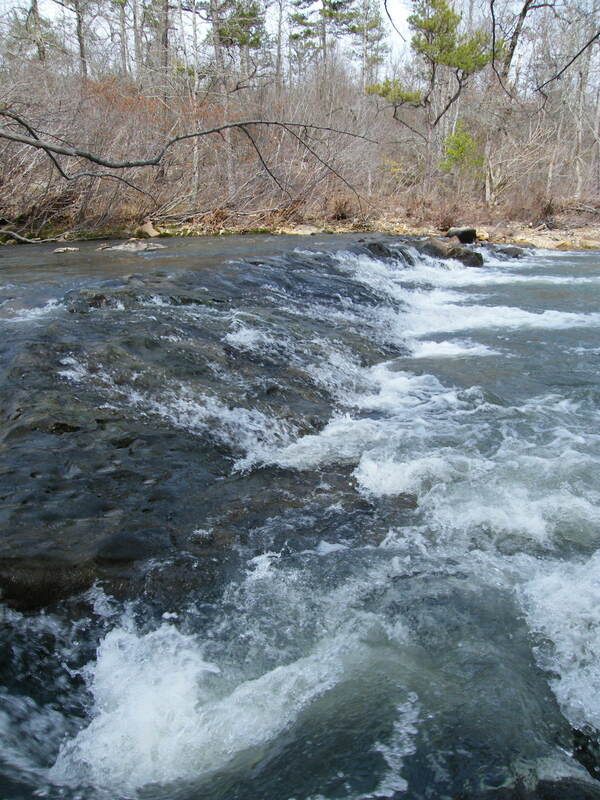 About a mile after that, past the BIG ledge that you will probably run on the right and several smaller ledges, the creek splits. 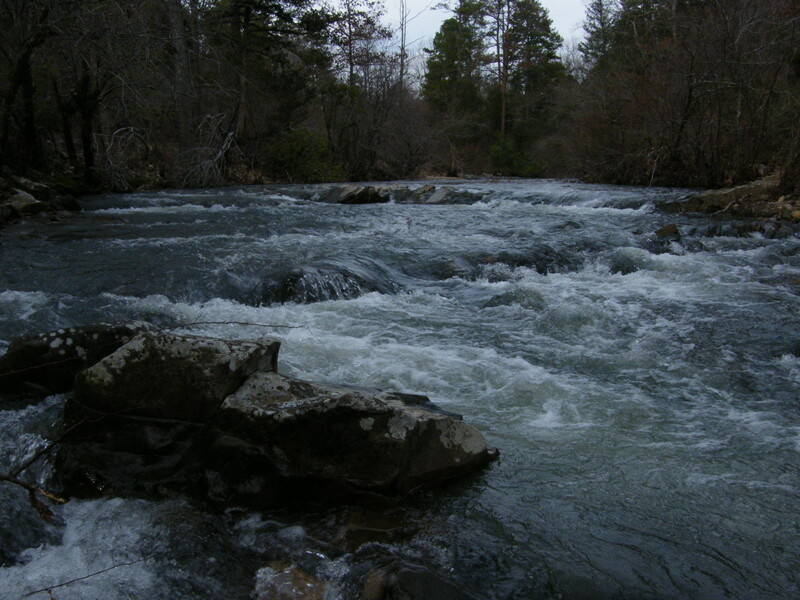 The channel with the most flow has a large upright tree growing on the left of the entrance followed by a nine inch diameter tree growing horizontally across the flow, just off the water. The left end of that low tree rises high enough to get by. Right after that a large diameter leaning tree rooted on river left will force you hard over to river right to find clearance. I believe the creek has changed in this area since I scouted it in early 2012 and has directed flow to this congested channel.